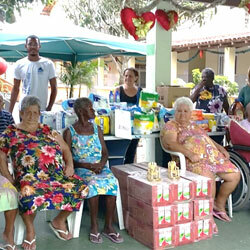 Office Macaé- Brazil has performed a solidary gesture towards the retirement home Casa do Idoso during Christmas 2015 A retirement home – sometimes called an old people’s home, or a nursing home is a multi-residence housing facility intended for senior citizens. 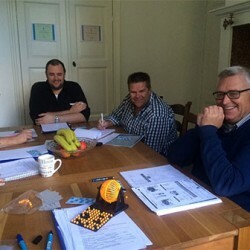 Typically, each group of 3 elderly people in the home has a shared rooms. Additional facilities are provided within the building. 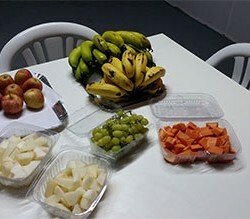 In addition to the “Health Project”in the office Macaé and the gym lessons in company, OOS International offers twice a week a selection of fresh fruit ready for consumption to stimulate our employers for healthy choices and habits. 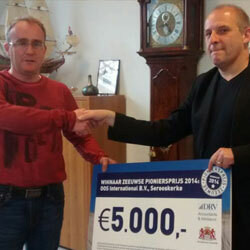 OOS International takes a step forward on helping its Team on a healthier and conscious life style. OOS International donated typical Dutch clogs to the Agriculture school in São João do Garrafão, Espírito Santo in Brazil. This is part of the cultural exchange project between the Dutch emigrants who moved from the province of Zeeland in the Netherlands to Brazil in 19th century, the agriculture school and OOS.